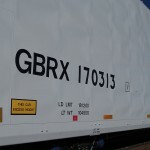 » What’s with these rail cars? What’s with these rail cars? Railroad cars as far as the eye can see. Almost every ride through the mid-valley countryside makes me ask this question: What the heck is that? Take Thursday, for example. On this brilliant late-summer afternoon I’m pedaling my two-year old Giant Rincon mountain bike along Midway Road. The road parallels the track of the Albany & Eastern Railroad. 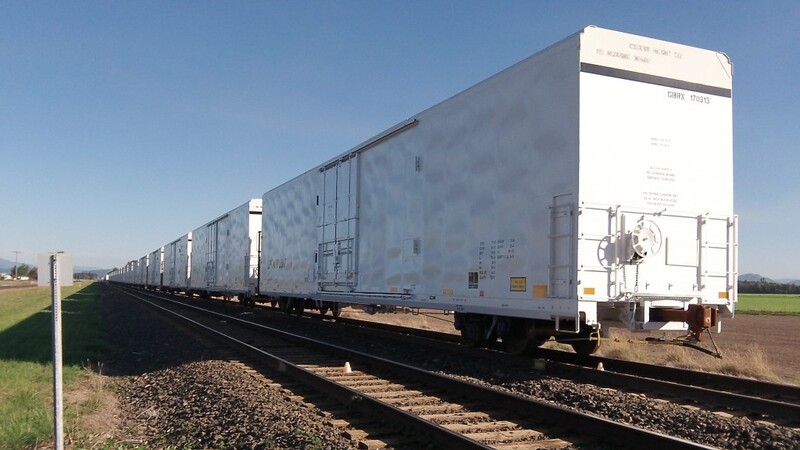 And on a siding next to the track, I count 62 railroad cars, white and very tall, with metal sides and what look like refrigeration units on one end. I’m wondering what they are doing there, and by the time I think to ask the A&E, it’s after hours and too late to call. David Moore on Facebook: Maybe they are white United Nations rail cars, perhaps for when China invades the Pacific Northwest. Kathy Rogers on Facebook: It has been my opinion for some time that there is sometimes really good art painted on the sides of these railcars. 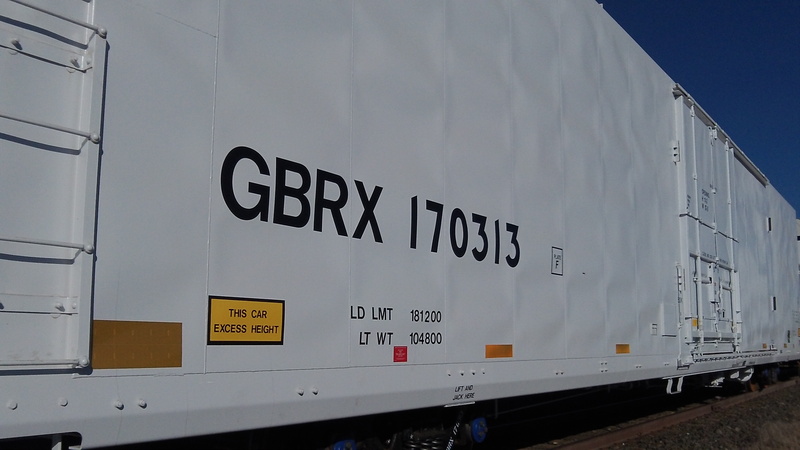 Railcar companies could paint their important info on the cars above the tagging level and take advantage of artistic expression. Waiting at a rail crossing is sometimes like watching a traveling art gallery.